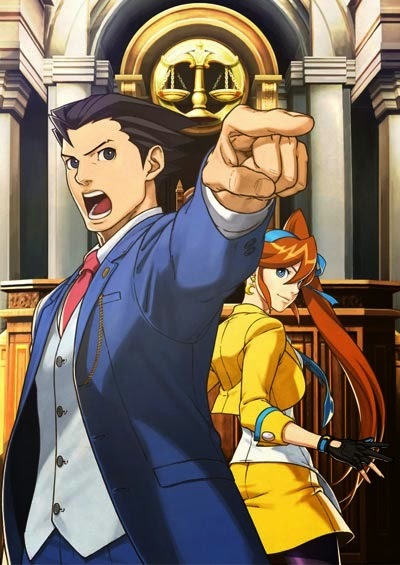 CREDITS: 2013 Capcom Co., Ltd.
sees the return of courtroom hero Phoenix Wright. The much loved gameplay and features from previous titles in the Ace Attorney™ series are back but for the first time in stunning 3D graphics, bringing the courtroom and characters to life and putting players directly in the heart of the action. I was very excited with this release and despite the number of games bought in the past few weeks, this one took precedence because of how much I loved the Ace Attorney series. Is there anything new the game offers? Well, let's see. Favorite characters are back. Well, at least Phoenix and some other surprise appearances that I will not mention lest I give out some spoilers. I really didn't like the characters of Apollo Justice, so I was happy to see less of Trucy and more of Phoenix. I also must say, now that Phoenix is 34 years old, he has become one of my crushes -- right up there with Miles Edgeworth, who had been exuding the "dashing older man" vibe even when he was in his 20s. New characters have engaging back stories. A new lawyer joins the "Wright Anything Agency", Athena Cykes, who also practices analytical psychology in order to become better in her cases. Though this is kind of funny to me, being a practicing research scientist myself. At first I thought she'd be annoying as Trucy, but when I got to the fifth case, it was all I could do not to get teary-eyed. Bluffing. I can still feel Phoenix Wright's bluffing in my gameplay, the same way that I felt Edgeworth's confidence in Ace Attorney Investigations: Miles Edgeworth. There are times when I just did a lot of guesswork but I'd still manage to breeze through the trials, which led me to exclaim "WTH! I was right???" many times over. There are instances when I can't follow the game's logic (when you could actually present evidence in a more efficient manner) but it's not a Phoenix Wright game if you're always sure of your answers anyway. Great animation. If there's one thing that's noticeable in this installment, it's that despite being cell-shaded 3D (the previous installations were in 2D), the animation was actually very fluid. My head kept happily screaming, "Bones!!" There are also considerable amount of nice cut scenes that are rendered in 2D. Athena's Mood Matrix. 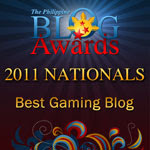 It's ironic that as much as I loved Athena as a game character, I hated what she contributed to the gameplay. The psychological analysis can get confusing and when you get to the later chapters, the "emotional noise" you need to wade through get literally noisy. If I didn't like the background music so much, I'd have turned the sounds off. Apollo Justice had better gameplay. Another irony for me. Much as I hated the characters of Apollo Justice: Ace Attorney, I believe it had the best gameplay in the series. 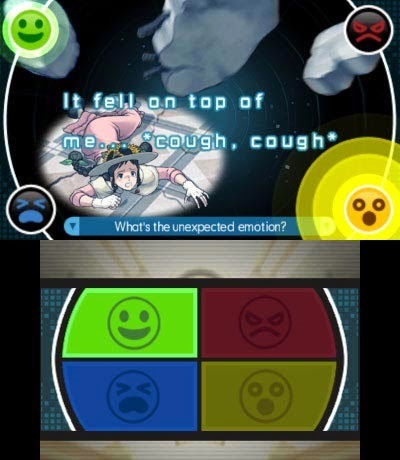 I barely used the stylus for Dual Destinies, and when I did, I found some minor annoyances. I think the gameplay regressed a bit, because I remember that whenever I had to examine a scene in the previous Ace Attorney games, the scene would duplicate itself on the lower screen of the DS. Now it doesn't. Your lower screen on the 3DS acted like some sort of a mouse pad while you fumble your way around the area indicated on the upper screen. None. I spent a weekend finishing this game, which means it's still a good game. 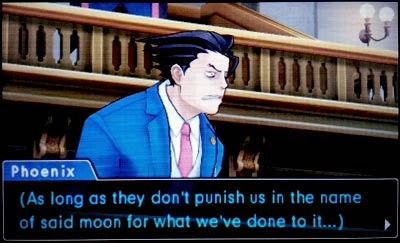 I'm still looking forward to what happens next in the Ace Attorney series. Hopefully, I get to see another Miles Edgeworth game.